Kingston Pharma is recalling bottles of children's cough syrup sold at Dollar General stores nationwide over concerns that the medicine could make babies sick. 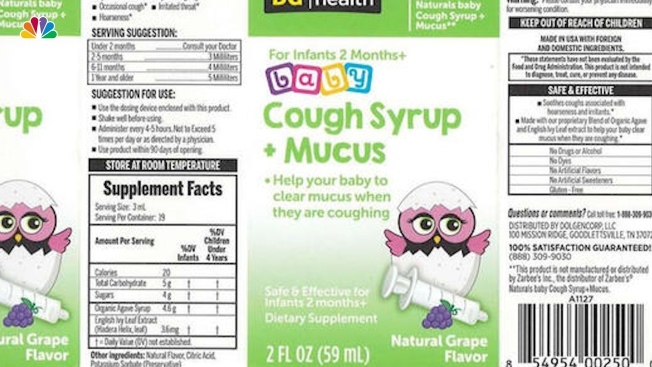 The Food and Drug Administration announced Wednesday that the Massena, New York-based company is recalling 2-fluid ounce bottles of DG health NATURALS baby Cough Syrup + Mucus because it could possibly be contaminated with Bacillus cereus and/or Bacillus circulans. According to the FDA, Bacillus cereus in food products has the potential to cause vomiting and diarrhea. 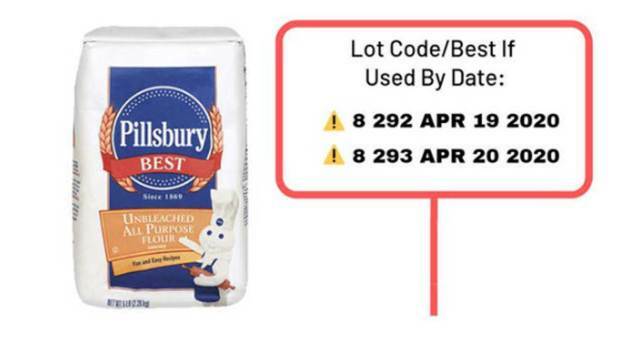 The company said it has not received any reports of illnesses in connection with recalled product. The recalled bottles of cough syrup are marked Lot KL180157, with an expiration date of 11/20 on the bottom of the carton and back of the bottle label. The UPC code of the affected bottles is: 8 54954 00250 0. The recalled bottles were distributed nationwide in Dollar General retail stores. Kingston said the presence of Bacillus cereus and Bacillus circulan in some bottles from Lot KL180157 were discovered during audit testing. Most often, Bacillus cereus-related illnesses are mild and self-limiting, although more serious and even lethal cases have occurred, the agency said. Individuals at risk for more severe forms of illness include infants, young children, and others with weakened immune systems. Production of the product has been suspended, according to the FDA. Consumers can return the bottles to the place of purchase for a full refund. Anyone with questions can contact the company at 1-844-724-7347 from 8:30 a.m. ET to 6:00 p.m. ET.